16 december 2014 | The triumph of emptiness. Grandiosity and marginalization of reality in corporate life. In order to meet the various challenges of current times (circular economy, industrial ecology...), our business practices must change and become more sustainable. Will the management methods that we currently apply and teach make such a change possible? “No”, answers Mats Alvesson. His analysis shows how far our companies' daily life appears to be from the surrounding reality and his contribution constitutes a salutary step backwards in our disturbed times. Mats Alvesson (1956), is a Swedish professor of business administration at Lünd University (Sweden) and at University of Queensland Business School (Australia), whose research spans the fields of organization and leadership studies. He is particularly known for having made key contributions in forming the field of critical management studies. He has published 20 books with leading publishers and hundreds of articles. The Triumph of Emptiness (Oxford University Press) has been published in 2013. The Enterprise, Innovation & Sustainable Development Circle of the Foundation for Future Generations is a peer learning group of entrepreneurs who exchange on solutions to advance the business community along the transition towards a sustainable economy. It has existed since 2012 and brings together senior CEOs and younger entrepreneurs from Wallonia and Brussels, who come from a wide range of economic sectors and business sizes. The Foundation for Future Generations is a public benefit foundation that supports and develops initiatives that aim to provide sustainable solutions, good for both the planet and its inhabitants, through new practices and ways of thinking. The Academy for Social Entrepreneurs @ HEC-ULg gathers the training, support and networking activities for social entrepreneurs, which are carried out by the Centre for Social Economy, HEC Management School, University of Liege (Belgium). GRE-Liège : Groupement de Redéploiement Economique - Liège. 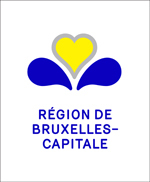 UWEL : Union Wallonne des Entreprises de Liège.